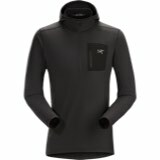 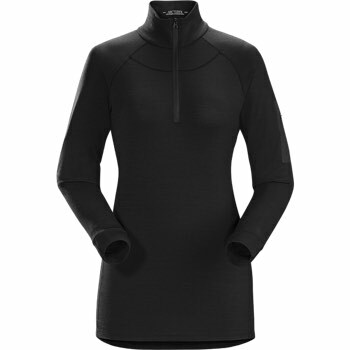 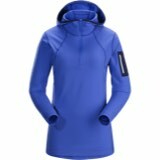 Leveraging the advanced fabric technology of Nucliex™ STR 180 Merino wool, the Satoro AR Zip Neck is a women s midweight baselayer designed for prolonged backcountry use. 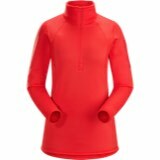 Nucliex™ yarn is created by wrapping Merino fibres around a nylon filament. 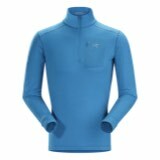 With the Merino next to the skin, it offers the natural comfort and odour resistance of wool, but with nylon s increased durability. 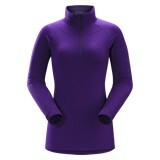 The tall collar adds warmth, and the deep V-neck unzips for rapid ventilation.